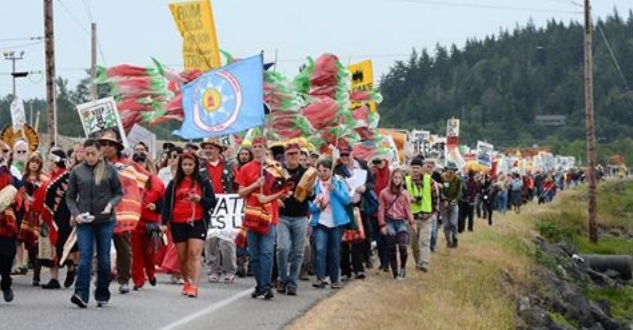 On October 6th, Shell Oil announced that they will be suspending their permit for a planned Bakken crude-by-rail project that was slated to be built at March Point in Anacortes, WA, ancestral lands of the Swinomish Indian Nation. The proposal sought to bring an additional estimated 60,000 barrels of crude oil a day to its refinery. This is a major victory for Northwest Tribes who, along with a broad coalition of environmentalists, have been actively opposing the proposed facility by engaging in public hearings, holding mass demonstrations, and engaging in non-violent direct action. Last May, thousands descended upon March Point for traditional canoe landings, massive demonstrations, and occupying the rail road tracks to block oil trains. The refinery receives its crude oil now via tankers that unload at its dock, and via a pipeline that serves Canadian oil fields. Shell had sought the rail project so that it could tap new supplies of crude oil in the Midwest that are not served by pipelines. However, low oil prices and abundant production elsewhere have slowed production in the Midwest and made other sources of crude more viable. 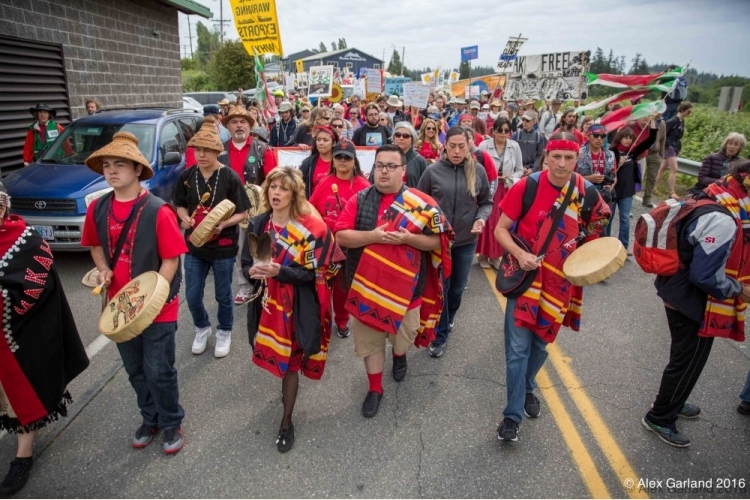 Responses to "Tribes Defeat Proposed Shell Oil by Rail Facility in Washington State"
There is strength in numbers! !Stay strong and do whatever to save YOUR LAND!